The Yellow Vest protesters: the tip of the French social crisis? 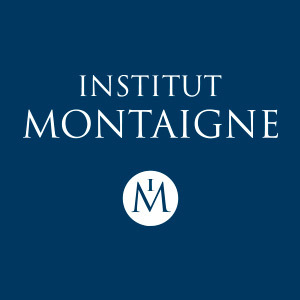 This analysis is the result of a survey conducted between December 14, 2018 and January 8, 2019 by Elabe in partnership with Institut Montaigne. 10 010 people were interviewed divided into 12 regional sub-samples of 800 individuals (1,200 in Ile-de-France) representative of the resident population of each metropolitan administrative region, aged 18 and over. The survey Barometer of Territories - Faces of France covers a wide range of topics (purchasing power, mobilities, social link, social justice, relationship to one’s region or to actors of society… ) and includes one question that enables to determine who identifies as a Yellow Vest protester. Since the beginning of November 2018 and the start of the Yellow Vest protests, France has experienced a three-fold unprecedented social movement. First, it is unprecedented in its mobilization which took place outside any existing organizational framework (trade unions, political parties or associations). Second, it is unprecedented in its longevity as national demonstrations have been held on a weekly basis since Saturday, 17 November 2018. And third, it is unprecedented in the multiplicity of channels of expression: social networks, the display of a yellow vest on the windshield of cars, recurring weekly demonstrations, attempts to form a list for the upcoming European elections, and so on. Since the social movement begun, it has enjoyed strong public approval (support or sympathy): this approval exceeded 70% in November and December 2018, then dropped but stabilize around 60% early March 2019. 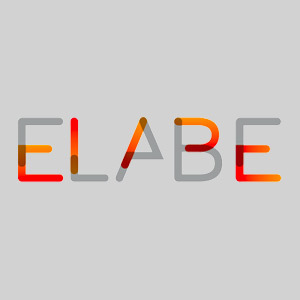 The latest Elabe study (20 March 2019) shows that, four months after the start of the mobilization, 53% of French people approve (support and sympathy) the Yellow Vests movement. Comparatively, the social mobilization of SNCF workers' unions in the spring of 2018 was approved by 34% of the French on 14 March, 44% on 4 April and 36% on 23 May. The horizontal, fragmented and unmediated nature of this social protest, as well as the multiplicity of its modes of action, make it difficult for scholars and commentators to study it. Who are the Yellow Vest protesters? Is this "roundabouts" movement mobilizing more in certain territories, in certain categories of population or does it span the whole of French society? What are the opinions of the Yellow Vest protesters on issues such as taxation, social justice or the European Union? Which political and social actors, if any, do they trust? When asked if they are Yellow Vest protestors, of the 10,010 respondents who answered the survey Barometer of Territories, 21% of them, i.e. 2,083 respondents, answered "yes", 47% answered "no, but I support the movement's action and demands", 27% answered "no", and 6% had no opinion. This proportion of Yellow Vest protestors (21%) is in line with the data measured by the weekly Elabe/BFMTV surveys, which showed that in November and December 2018, about 20% of the French people said they were Yellow Vest protestors. Since then, this number has almost declined by half, therefore we consider that our analysis is based on the peak of the Yellow Vests mobilization. Note to the reader: The figures in brackets indicate the difference between the Yellow Vest protestors and the national average. For example, "69% delayed or gave up on healthcare in the last 12 months (+18)" means that 69% of Yellow Vest protestors delayed or gave up on healthcare in the last 12 months and that this number is 18 points higher than the national average of 51%. Of the 2,083 people who identify as Yellow Vest protestors, 53% are men and 47% are women, and among those who support the movement’s action and demands, 55% are women and 44% are men. This presence of women is a rather rare phenomenon in major social movements but reflects their growing visibility during demonstrations. The working population is at the heart of the movement: 25-34 years old represent 16% of Yellow Vest protestors (+1 point compared to their weight in the French population), 35-49 years old 28% (+3) and 50-64 years old 30% (+5). The 18-24 age group (8%, -2) and the over-64 age group (18%, -6) are slightly under-represented. 57% of the movement is composed of people employed (+1 compared to the average of the sample surveyed), people in retirement or early retirement account for 21% (-4), the unemployed for 11% (+5) and students 3% (-3). The only subcategory that is significantly over-represented among the Yellow Vest protestors is that of single women with children: they represent 12% of the Yellow Vest protestors while they only account for 6% in the sample surveyed. A movement of the working classes: the Yellow Vest protestors are mainly workers (26% are workers, +9 compared to the weight of workers in French society), employees (21%, +4) and retired of the lower socio-economic groups (17%, =), who live in rural municipalities (28%, +5) and small towns from 2,000 to 20,000 inhabitants (21%, +3), but also in cities of more than 100,000 inhabitants (26%, -3). Reflecting French society, Yellow Vest protestors live in the suburbs (32%, -4), in city centres (30%, -4), in rural areas (27%, +4) but are rarely found in isolated cities (10%, +2). 50% of Yellow Vest protestors have a level of education lower than the high-school degree (baccalauréat), 28% have a high-school degree, and 22% have a university degree. In 2017, these proportions were respectively of 54%, 16% and 30% in the general population. The family composition of the Yellow Vest protestors is very similar to that of the entire sample interviewed: 35% (-1) live in a couple with no children, 29% (+1) in a couple with children, 22% (-1) are single with no children, 9% (+3) single with children, 5% (-1) live with their parents and 1% (=) in shared accommodation. The only subcategory that is significantly over-represented among the Yellow Vest protestors is that of single women with children: they represent 12% of the Yellow Vest protestors while they only account for 6% in the sample surveyed. On the other hand, the economic situation of the Yellow Vest protestors is significantly worse than average. Their standard of living is €1,486 per month compared to an average of €1,777 for the whole sample. Geographically, Yellow Vest protestors are present throughout the whole national territory but some variations exist between the high 28% of Yellow Vest protestors among the population of Occitania, 27% in Burgundy-Franche-Comté and the low 17% in Ile-de-France. If we focus on the former administrative French regions, we notice that Yellow Vest protestors are over-represented along the territories that geographer Roger Brunet called "the diagonal void", extending from the Ardennes to the Hautes-Pyrénées: Champagne-Ardenne (+7 points compared to the national average of Yellow Vest protestors), Burgundy (+5), Franche-Comté (+6), Auvergne (+2), Limousin (+4), Languedoc-Roussillon (+5) and Midi-Pyrénées (+6). To these territories, one must also add an over-representation of Yellow Vest protestors in Haute-Normandie (+4). In the Barometer of Territories, French people tell the story of a happy private life, but of a purchasing power under pressure and of a prevailing feeling of living in a society that produces relegation and exclusion. However, despite these tensions, their personal space is a protective shield against economic and social difficulties. Among Yellow Vest protestors, their personal space is less equipped to offer this feeling of protection: they are fewer than the average population to declare themselves happy (64% against 73%) and to share the feeling of having chosen the life they lead (50% against 60%). They are more likely (60% + 6) to have a limited or no social life, and they are less likely to feel they can count on someone around them when facing serious problems (69%, -5). 65% of Yellow Vest protestors have difficulty making ends meet (+17 points compared to the French average). 69% delayed or gave up on healthcare in the last 12 months (+18). 51% have had a bank overdraft regularly over the past twelve months (+13) and on average on the 17th of the month. 55% feel that their financial situation has worsened over the last twelve months (+12). In addition, half of the Yellow Vest protestors systematically looks for the lowest prices during their food shopping and two thirds when buying clothes and shoes, which is in both cases significantly higher than the French average (+15 points). Just over a third of the Yellow Vest protestors regularly have difficulty paying their electricity bills (+15), rent or mortgage (+13), and taxes (+14). This purchasing power crisis is even more strongly felt on the issue of transport and fuel costs: half of the Yellow Vest protestors regularly have difficulty paying their transport costs, whereas this is the case for only a quarter of the French population. This confirms the key importance of the use of motor vehicles (car, motorcycle, scooter) for Yellow Vest protestors: three-quarters use them every day (75%, +9), and almost half of them use them several times a day (46%, +9). Purchasing power is by far the most important issue for them (50%, +10), followed by pensions (30%, +4), employment (28%, +3) and immigration (27%, +4). This growing economic fragility fosters an almost unanimous feeling among Yellow Vest protestors of living in an unfair society (87%, +7) and reinforces the idea that social success is a foregone conclusion (68%, +5). They express a strong sense of downgrading: 69% (+17) believe that their parents lived better than they did at the same age. This perceived social violence weakens their consent to pay taxes: half of them consider that the taxes they pay are unnecessary (51%, +16). Their social anger is also perceived in matters that are most upsetting to them, which are solely economic and social issues. Their anger is mostly triggered by the gap between high and low wages (46%, +8) and social inequalities (35%, +5), but also on tax fraud (26%, +1), job insecurity (26%, +4), corruption (25%, +5), and welfare fraud (24%, -3). We observe that only 7% (-1) of Yellow Vest protestors are upset by territorial inequalities, proof of the predominance of social divides over territorial ones in the anger expressed. This economic pressure not only fuels a sense of injustice, but also a very pronounced mistrust of political and institutional actors. The only actor that almost a majority of Yellow Vest protestors trust is the people who live around them (47%). This result is indicative of a widespread crisis of trust in the actors of representative and social democracy. The President of the Republic and political parties are the main receptacles of this mistrust: respectively 80% and 75% of the Yellow Vest protestors do not trust them. While for political parties this level of mistrust is close to that expressed by all French people, which is 69%, for the President of the Republic it is much more acute among the Yellow Vest protestors (+20 points). The other institutional actors, such as the presidents of regions and departments, but also the member of Parliament of one’s constituency, are not rejected as massively, but struggle to be perceived as trustworthy actors: half of the Yellow Vest protestors do not trust them, a third are indifferent toward them and only one out of six Yellow Vest protestors say they trust them. The only either institutional or civil society actors which are trusted by a relative majority of the Yellow Vest protestors are the local and everyday actors, namely the mayor of their municipality (38%) and non-profit organisations (37%). Similarly, Yellow Vest protestors consider that it is civil society and local actors, such as companies (54%, -8), the mayor of their municipality (48%, -6) and non-profit organizations (46%, -3), who have the most power to make the world in which they live evolve. The main difference between the answers of Yellow Vest protestors and those of the whole sample surveyed is the power attributed to the President of the Republic: for the former a third of them believe that he has the power to change things (36%) whereas for the latter half believe so (50%). Therefore, not only the Yellow Vest protestors do not trust the current President of the Republic, but they also think he is incapable of acting on the reality and daily life of the French people. The picture depicted here, combining a crisis of purchasing power, a feeling of injustice and widespread mistrust of social actors, leads to a pronounced feeling of pessimism. A majority of Yellow Vest protestors are pessimistic about their personal future (58%, +14) and that of their children (57% think that when they reach their age their children will live less well than they do, +11), and almost unanimously about the future of French society (83%, +8). In the study Faces of Frances, the Barometer of Territories identified four categories of French people according to their relationship to the territory and to mobility (social, personal and geographical). The "Emancipated French" (21% of the population) have little territorial attachment and they carry out their life project without difficulties thanks to their economic and socio-cultural resources that allow them to emancipate themselves from territorial constraints. The "Rooted French" (22% of the population) are deeply attached to their territory, happy to live where they have chosen to live. Their personal bubble is a shield that protects them from social violence, yet without concealing it. They enjoy living in their homeland and do not aspire to mobility. The "Assigned French" (25% of the population) are assigned to their territory and severely affected by the purchasing power crisis, and by social and territorial inequalities. They are stuck, both geographically and socially, and recount a slow personal and social decline that never ends. The "French on the edge" (32% of the population) experience a strong tension between their aspiration to social and territorial mobility and the difficulty in emancipating themselves from their socio-economic situation and from territorial inequalities. Only 39% (-11) of Yellow Vest protestors report easy and quick access to a series of eight services (education, culture, entertainment, healthcare, transportation, information, shopping and administration). Half of them (49%, +10) feel that public services are disappearing where they live. 69% (+11) consider that it is becoming increasingly difficult to find a job where they live. Half of them feel “stuck” where they live (49%, +5). This does not mean that Yellow Vest protestors are only present in areas which are most in need. With respect to the INSEE’s typology of territories ("territoires de vie") based on objective indicators of access to services and quality of life in a given area, we observe that between territories "rather privileged", "rather well-off", "not very favourable", "in an intermediate situation" or "isolated", the proportion of Yellow Vest protestors varies between 17% and 28%. Hence, their presence on all types of territories confirms that the emergence of this social movement is not rooted in territorial inequalities, but in the social crisis pervasive to large sections of French society. Moreover, this feeling of being assigned to their location of residence and of suffering from territorial inequalities does not mean that Yellow Vest protestors are not attached to their territory, they are globally just as attached to it as the average French person (45% are attached to the place where they live (-1), 50% to their city (-2), 56% to their department (+7), and 59% to their region (=). However, they are more pessimistic about the future of their territory than the average French person: 56% are pessimistic about the future of the place where they live (+12) and 62% about the future of their region (+13). Their presence on all types of territories confirms that the emergence of this social movement is not rooted in territorial inequalities, but in the social crisis pervasive to large sections of French society. Finally, while the Yellow Vest protestors are mainly "Assigned French" and "French on the edge", a significant proportion of them are "Rooted French" (18%, -4) and "Emancipated French" (14%, -8). Their presence among population groups with the highest socio-economic and cultural capital and who are the happiest may come as a surprise, but it explains well the diffuse nature of social anxiety in the country: 78% of French people consider the current society unfair (including 28% very unfair). The strong mistrust of Yellow Vest protestors towards institutional actors leads logically a majority of them to declare that they do not feel close to any political party (33%), or to express a proximity to protesting parties, in particular the right-wing Rassemblement National (19%) and to a lesser extent to the left-wing La France insoumise (10%). During the first round of the 2017 presidential election, 29% of Yellow Vest protestors voted for the right-wing candidate Marine Le Pen, 27% abstained, voted blank or were not registered to vote, and 17% voted for the left-wing candidate Jean-Luc Mélenchon. The mobilization of sections of the population traditionally missing from social protest, and their politicization since the beginning of the social movement, could, if confirmed, have an impact on the results of the European elections in May 2019. In this context, it is important to note that 61% of Yellow Vest protestors consider that France's membership to the European Union has more disadvantages than advantages (+18 compared to the French average). More than 6 out of 10 also consider that the European Union does not control migration flows and does not protect them from the negative effects of globalisation. Although the European Union is not (yet?) at the heart of their demands, it could become the target of their social anger at the polls. the data from the Barometer of Territories indicate that the opinions of the Yellow Vest protestors are neither "atypical" nor specific in comparison to what the Barometer of Territories reveals of the views that a majority of French people held on our society, its injustices and its failure to guarantee the Republican promise of equality and social mobility. However, they are among the French who are experiencing the most violently the crisis of purchasing power and express with the most intensity this feeling of injustice. This double phenomenon has a direct impact on their daily lives and undermines their personal happiness, which so far has resisted the crisis among the majority of our fellow citizens. If France is in pieces, these four categories ("Emancipated", "Rooted", "Assigned", and "On the edge") are not hermetically sealed. The Barometer of Territories confirms that Yellow Vest protestors are only the most visible part of a social suffering that now permeates large parts of our society and undermines confidence both in the future and in the effectiveness of the political system.